This post is the seventh in a series introducing the 12 teams participating in the 2018 Wood Stove Design Challenge in November. Like so many other businesses in 2008-2009, Roger Lehet’s 25-year-old brick and mortar wood stove shop was a casualty of America’s Great Recession. 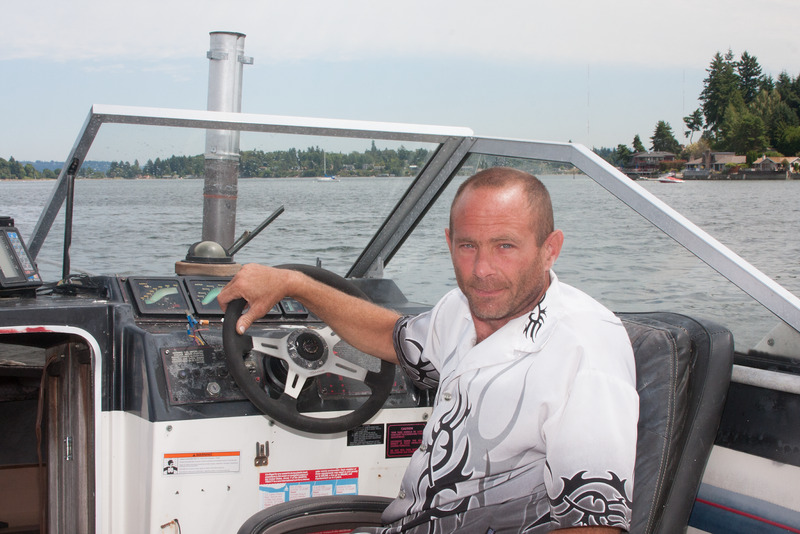 When the dust finally settled, the Lehet family of three found themselves living “with nothing and no money” on a boat moored in Puget Sound off the coast of Vashon Island, a fifteen-minute ferry ride from Seattle, Washington. Roger realized that no manufacturer made a wood stove that could fit into the tiny space he carved out of the boat’s cabinetry, so Roger cobbled together the very first prototype for what would later become known as his Kimberly™ stove. It then occurred to Roger that a thermoelectric system could allow his family to comfortably live off-grid and that his wood stove should provide not only the ability to heat their space, but to also allow his family to cook, bake, heat water, and create electricity. Word traveled quickly and one day a local Vashon resident showed up at the dock, advising Roger to “make it look pretty and get a patent on it.” By the fall of 2012, Unforgettable Fire™ was a newly minted entity and Kimberly™ had passed the rigors of EPA-CSA and UL testing protocols. Roger Lehet knew that creating electricity from the heat of a wood stove was possible because he read somewhere that “the Russians did it during World War I.” Roger was also aware that (until the 2018 Wood Stove Design Challenge) no one in the United States was commercially developing this technology, so he gathered a team to explore the possibilities, using the World War I era successes in Russia as a starting point. In 2013, the Unforgettable Fire™ team entered Roger Lehet’s Kimberly™ stove in the very first Wood Stove Design Challenge. EPA-CSA certified at 3.2 grams per hour, and weighing only 56 pounds with a tiny firebox of 0.2 cubic feet, Kimberly™ became a darling of the tiny house, RV, and prepper markets, despite selling for nearly $4,000 USD. 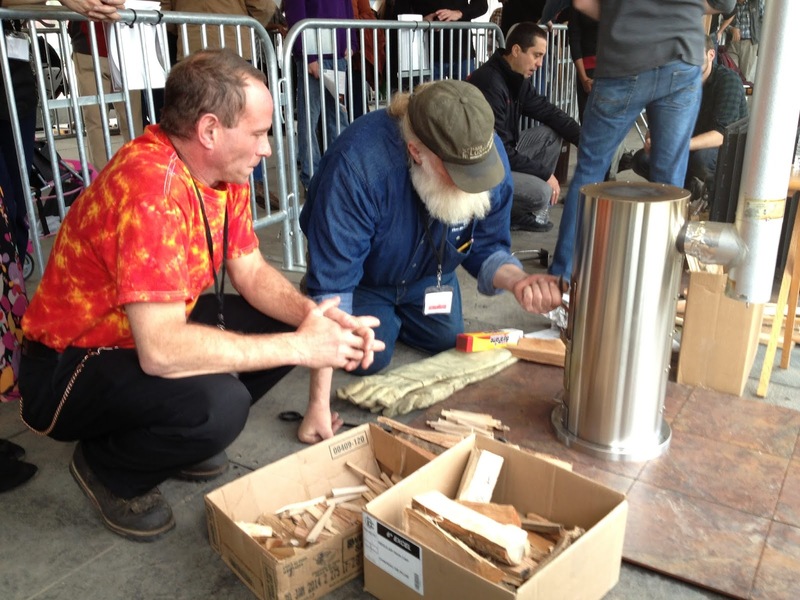 While many of the 2013 Design Challenge stove entries required a forklift to unload and place inside our tent which was located on the National Mall in Washington, D.C., Roger arrived by taxi, carrying his Kimberly™ stove in his arms. Despite having developed Kimberly™ on the deck of a boat, Roger found that the marine community was a harder market to penetrate. 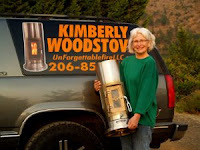 Nevertheless, in a matter of years, Lehet sold over 500 Kimberly™ stoves to people living in small and tiny spaces, and to preppers, “many of whom still have not even unpacked their survival stove,” Roger shared with us. them is Vanessa Kelly, who showed up on his doorstep in February 2013 and is second in command at Unforgettable Fire™. Vanessa handles everything from web development and online marketing, to sales and technical support. In September 2014, when Roger was on the East Coast as a vendor at a trade show, Vanessa was Roger’s eyes and ears through the EPA-CSA certification process for the Katydid™ wood stove at OMNI Test Lab in Portland, Oregon. Vanessa wrote the accredited owner’s manuals for both the Kimberly™ and Katydid™ models and served as project manager for the EPA-CSA labels. When Roger teamed up with the folks at TEGmart, a company that sells thermoelectric components, Roger gained clarity on how thermoelectric modules (TEGs) could better integrate with wood stoves. Today, as Roger explained to us, his team now “creates the stove to match the potential of the TEGs.” This knowledge has driven the Unforgettable Fire™ team to improve the interface between the hot surface of the wood stove and the thermoelectric modules on the stove. found in the Kimberly™ stove, in order to increase the heat in the TEG units. Therefore, the Unforgettable Fire™ Kd3 prototype under development for the 2018 Wood Stove Design Challenge incorporates a gasification chamber on the top of the stove and a re-burn chamber on the bottom. Completely combusted flue gases exit to the right and left sides of the base of the stove where the water-cooled TEG units are installed. Roger stated that the resulting flames are “extremely clean”. 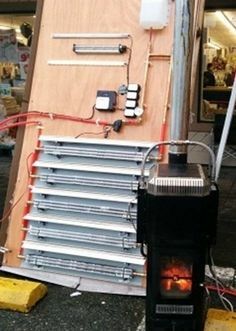 From past experience, Roger says the stove has produced “an easy 75 Watts” when paired with solar panels, which he says could run many 9 watt light strips, a water pump, and send “a good bit” of energy to the batteries. While they have experienced these outputs so far, Roger reports that he expects to test the electrical production from the Kd3 prototype within the next month as the Unforgettable Fire™ team is currently finalizing the engine. As a side note, the design of the electrical component also allows for the addition of solar panels and wind generation. The challenges that the Unforgettable Fire™ team have encountered over the years in bootstrapping the company from the deck of a boat have taught Roger Lehet to “challenge conventional wisdom.” From the beginning, Roger’s peers have championed high-velocity stoves as the way to get the cleanest burn possible, but Roger went a different route and also found success. Using a low-velocity model, Roger fine-tunes the mixture of wood gas and oxygen as his central method to achieve a clean burn. Lacking important testing equipment to guide him, Roger assesses the cleanliness of the burn solely from the flame’s color. The wood gasification process in the first burn produces flames that are orange, blue, and purple in color. In the re-burning of those gases, Lehet aims to get the whitest flame possible, as flames which appear white in color contain very few particulates. Roger claims that his Kd3 prototype is “able to sustain 850º Fahrenheit in the exhaust manifolds with plenty of radiant and/or convective heat.” When pushed, the Kd3 prototype can sustain up to 1250º Fahrenheit. A big challenge for very small stove manufacturers like Unforgettable Fire™ is that they cannot afford well-equipped internal test labs to assess particulate matter emissions before taking the stove to an EPA-CSA test lab. Therefore, Roger uses only thermocouples to test his stoves during the design phase. Since the Kd3 prototype does not utilize a manual air control, Roger Lehet hopes to get an emissions exemption from the EPA. 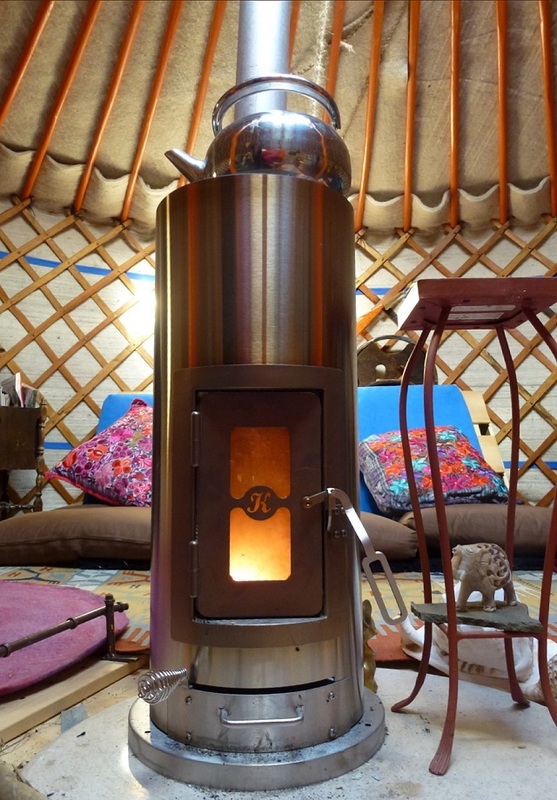 The experience of the Lehet family living on a boat forged Roger’s unique approach to wood stove design. 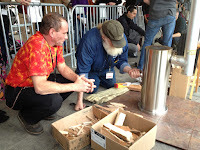 Roger’s goal for the 2018 Wood Stove Design Challenge, and for the stove market in general, is to bring a wood stove and thermoelectric generation system to market under the Unforgettable Fire™ brand, allowing people to live independent of the electrical grid, with little to no compromise to their quality of life.